Who's Ready for the Ohio State Fair? 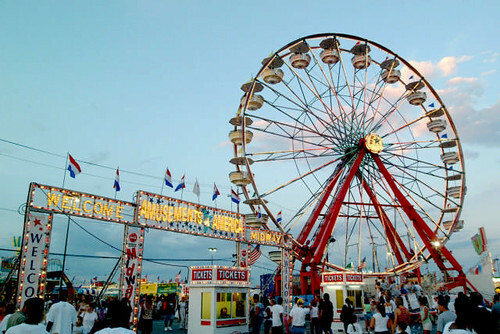 The Ohio State Fair celebrates its 159th year at the Ohio State Fairgrounds from July 25 - Aug. 5. 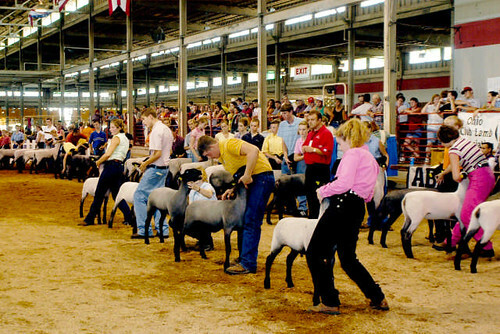 For many, the State Fair is a time to celebrate Ohio&apos;s agricultural bounty. 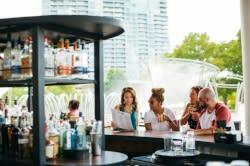 For others, a chance to eat insane fair food, and for others still, a time to catch some of the biggest national acts put on a great performance. Celebrate Local will be on site, selling foods and crafts from Ohio producers. There&apos;s a dog show, a homebrew competition, and of course, the traditional judging of the biggest and best fruits, flowers, vegetables and livestock from around the state. There&apos;s a darn huge variety of food to choose from, but don&apos;t worry. The Fair has a Food Finder map that will help you get straight to your pork parfait. Also on offer: Deep fried anything you can think of - peanut butter and jelly sandwiches, funnel cakes, Kool Aid, etc. It&apos;s not all fried, though, and the Fair even has gluten-free options. The Fair always draws top-notch performers, and this year is no different! Tweens will flock to see Victoria Justice, country fans to see Jason Aldean and Merle Haggard. Classic rock fans can break out their best &apos;80s gear for Boston and Chicago. For folks who like contemporary music, Gavin DeGraw and Colbie Callait will perform. And if you&apos;re not even into music, but love to laugh, Jim Gaffigan is putting on a show! (Hot Pockets!) Find your tickets here. 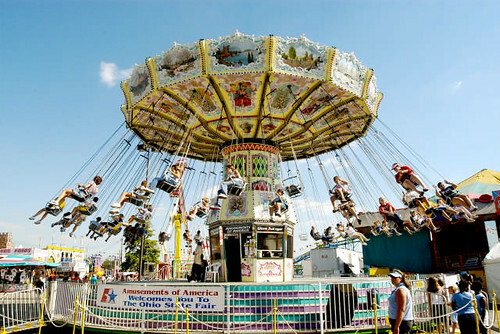 This week, the OhioTourism and the Ohio State Fair are running a contest to win a 4-pack of tickets to the fair! Details are here. If this isn&apos;t enough to get you to the State Fair - how about wallabies! Or a pig race? Pie eating contest? The Oscar Meyer Wiener Mobile? Roller derby? A miniature farm made of 500 pounds of chocolate? You&apos;re going to have a great time. What&apos;s the thing that will get you to the fair this year?